Quarter after quarter we hear from market research firms that mainstream PC sales are down, but if you shift your focus to the computer gaming category, you'll see the segment is alive and thrving. If anyone needs further proof of that, take a look at how Nvidia performed during its first fiscal quarter for the period ended May 1, 2016, along with its future outlook. Nvidia reported $1.3 billion in revenue, which is down 7 percent sequentially from $1.40 billion, but up a healthy 13 percent from $1.15 billion in same quarter a year ago. After paying the bills, Nvidia was left with a nice profit of $263 million, which again is down sequentially (11 percent) but up a whopping 41 percent from $187 million a year ago. Gaming continues to be by far the biggest contributor to Nvidia's financial well being. It raked in $687 million (PDF) last quarter from its Gaming division, up from $587 million a year ago. That's more than all of its other areas combined, all of which added more than $100 million to the pile each. "We are enjoying growth in all of our platforms -- gaming, professional visualization, datacenter and auto," said Jen-Hsun Huang, co-founder and chief executive officer, Nvidia. "Accelerating our growth is deep learning, a new computing model that uses the GPU's massive computing power to learn artificial intelligence algorithms. Its adoption is sweeping one industry after another, driving demand for our GPUs." Looking ahead, Nvidia expects its just announced Pascal architecture to keep the good times going. "Our new Pascal GPU architecture will give a giant boost to deep learning, gaming and VR. We are excited to bring a new wave of innovations to the markets we serve. Pascal processors are in full production and will be available later this month," Huang added. Nvidia will release its Pascal-based GeForce GTX 1080 on May 27 starting at $599 and its GeForce GTX 1070 on June 10 starting at $379. Both are more powerful than a GeForce GTX Titan X, a surprise revelation considering their price points, while the GeForce GTX 1080 is also supposed to trump the performance of two GeForce GTX 980 graphics cards in SLI. 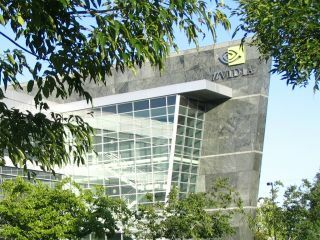 If the reception to Pascal is as anticipated, Nvidia expects to collect $1.35 billion in revenue for its second quarter, plus or minus 2 percent.